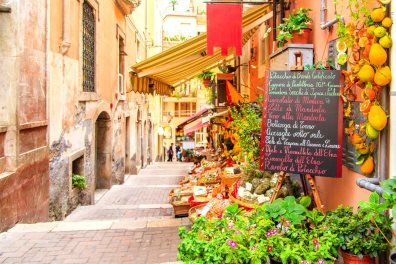 Sicily may be part of Italy, yet it is set apart geographically and culturally and rich in its own dramatic history. Blessed by a wonderful climate with long, hot summers and doubly blessed with welcoming people, proud to share their beautiful island with you. 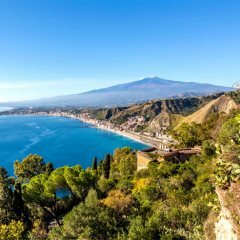 With a wealth of art and archaeological gems, historic cities, medieval towns and villages, superb food and stunning natural beauty, from golden sandy beaches, lapped by unbelievably clear aquamarine waters, to the smoking crater of Mount Etna, Sicily will surprise and delight you. We share our tips, info & inspiration. Where Africa meets Europe... nowhere is quite like Sicily in its mix of cultures, its mix of people; and nowhere else has such a vast array of civilisations left their mark including the Phoenicians, Carthaginians, Greeks, Romans, Moors, Byzantines, Spaniards and even the Normans. Over the course of its rich history, so many famous Mediterranean and African culinary traditions have been absorbed into the local gastronomy with Byzantine, Arabic, French, Spanish and South Italian influences all evident, producing a diverse cuisine that can be simple and hearty or complex and refined, delicately flavoured or richly spiced. 3. Did we mention the beaches? 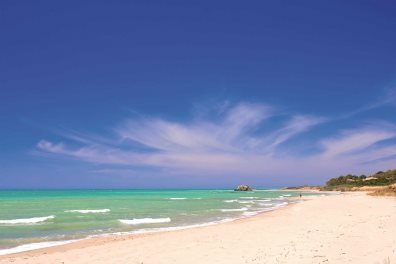 This still feels like something of a secret, but Sicily has some of the finest beaches in the Mediterranean - and such a diverse range. You'll find well-populated stretches of golden sands in the resorts, as well as deserted coves and off-the-beaten-track hideaways that will feel all your own. And the sea tends to be warm and turquoise and, if you're adventurous, the diving's not bad, either. 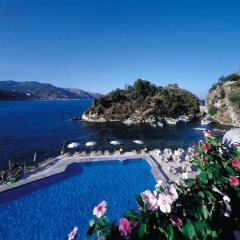 There are countless rewarding holiday destinations in Sicily. 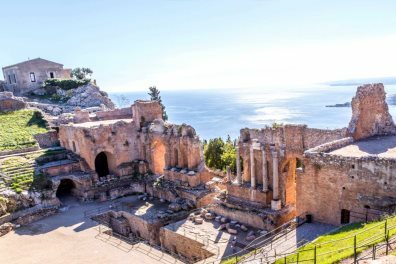 There is a staggering amount of revealed history in Sicily - sites of national and international importance; and it's all so accessible, including the seven UNESCO World Heritage sites: the Valley of the Temples at Agrigento, the Villa Romana del Casale, the late baroque towns of the Val di Noto, the city of Syracuse and the Necropolis of Pantalica, the Aeolian Islands, Mount Etna of course, and the most recent listing - The 12th century Arab-Norman features and the cathedral churches of Monreale and Cefalù. 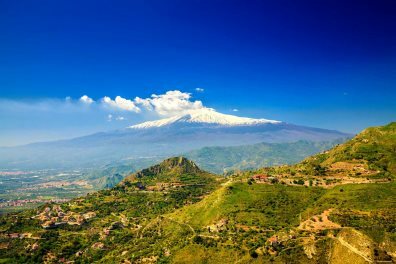 Mount Etna is like Sicily's mother figure - its creator, its fiery guardian angel. She dominates the north east with her presence, and is a truly staggering sight to behold - a must see. 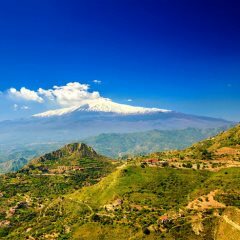 Etna is the tallest active volcano in Europe and some of the best Sicilian wines are produced from grapes grown on these fertile volcanic soils.